While we have online gift stores and the local shops flooding with a bounty of items, selecting just the right gift is always a tough job. Swipe through the choices and you reach the end of the list without making a single item beyond that ‘wish list’. 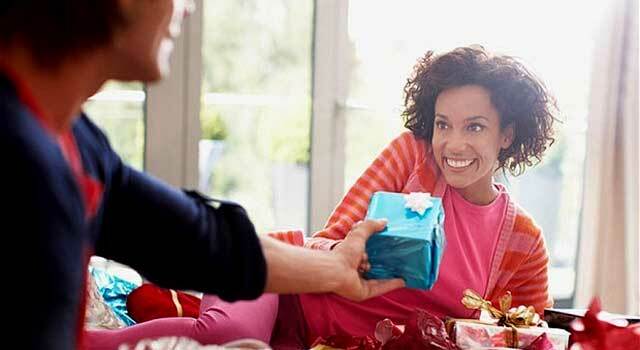 Even though the gifting process requires a lot of thinking, there is always a plus when you have to decide the present for a girl instead of a guy. Come to think of it, don’t you always find yourself in a dilemma when you’ve got to buy something nice and quirky for your boyfriend than your girlfriend? Be it your father, brother, male friend, or boyfriend, when you go gift shopping for them, you find the same wallets or shirts or watches flashing through every glass! Men seem easy to comprehend but they are not. They do a good job at hiding their emotions. They don’t express much. They believe in giving. This has always been a problem while I chose a gift for my father too. He, like all other father’s in the world, would buy me the best but never tell his own choices. And so, when I have to buy him something, I get confuse. We don’t know what they’ll like and what they’ll pretend to like, which makes it even more important for us to get them something really nice and lovable. On the other hand, getting something for my mother, sister and my girlfriends have been easier. The thing with girls is, they are emotional and find happiness in the trivial of things. A card, photograph, some accessories or be they just balloons; anything and everything has a power to bring a smile on their face. The online stores, the gifts shops as well as the streets flood you with hundreds of options for unique gift for girls. Not just the options, the variety of gifts and the range of products available at such an affordable price add a cherry to the cake and make our task a lot easier. Saying the same for boys is somehow not possible. The things that make our guys happy are not easy to find. And even if we do come across anything great, it is so out of the budget! Talking of which I remember one instance where I had a pretty hard time selecting a watch for my college seniors, the one I wanted to gift them as a farewell present. And while I’d go through all the designs available, either I won’t be sure of the design or I would have my eyes bulging out of my sockets looking at the price. Even when we think of gifting a card full of memories to our boyfriends on the anniversaries, we’d know deep down that these are not the things that make them really happy. They’ll look at it for a moment, appreciate it for the beauty and its effort and give it back to you for safe keeping! Because they, can’t keep all these things intact for more than a week however hard they try. Though we now have the online arena to sort most of our issue, but this is one of those few situations which make us go back and forth on our rocking chair. Thinking, wondering, planning and hopefully executing to make our loved ones (especially our men) feel special, loved and most importantly respected, we give them a gift. And with it, a piece of our soul to cherish, love and remember. It’s a tough call to make, but definitely a worthy reward in return of such hard work justifies the effort. Don’t you think? Discover and shop for unique gifts for guys and unique gifts for girls in India.